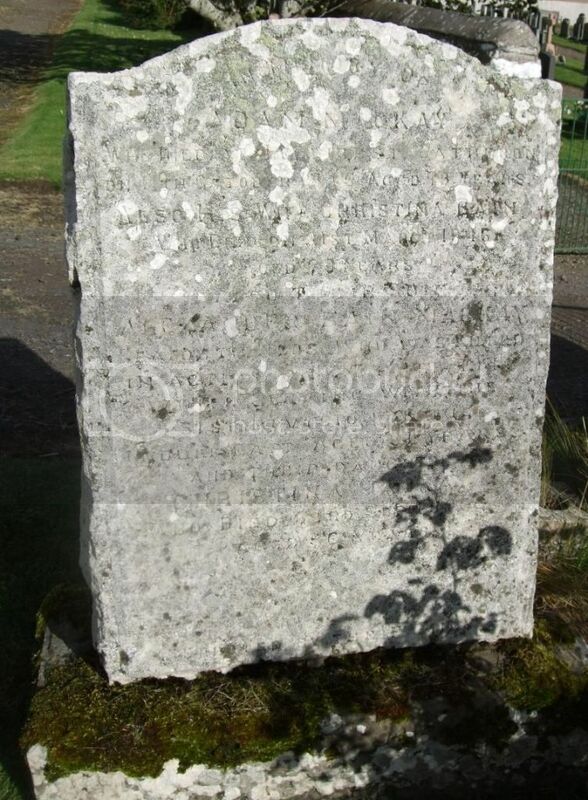 Son of Catherine Phimister, of Lybster, Caithness. Son of Mr. J. Hendry, of Leodibust, Latheronwheel, Caithness. Erected by John Hendry, Loedibest in loving memory of his wife Williamina MacKay who died 5th December 1916 aged 57 years. And their son Cpl D Hendry who was killed in France 9th April 1917 aged 19 years. 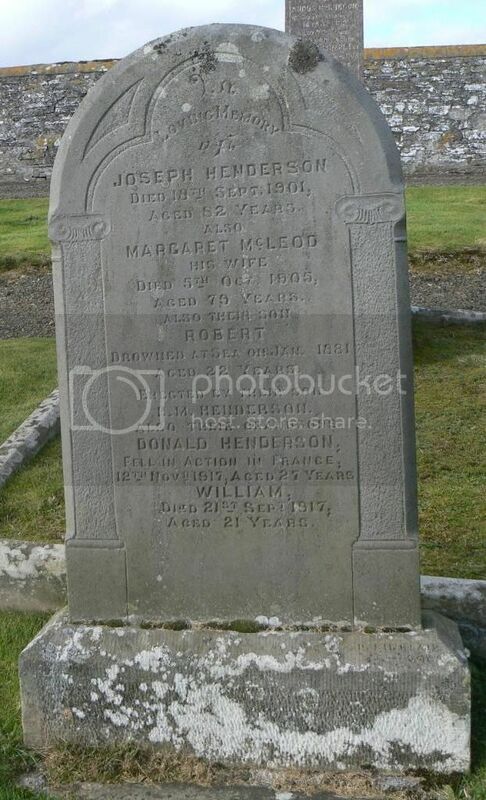 The said John Hendry died at Leodibest 8th March 1929 aged 67 years. And daughter Hellen S Hendry died at Leodibest 18th August 1967 aged 79 years. Son of Mr. W. Keith, of Lybster, Wick, Caithness. Regiment/Service:Merchant Navy S.S. British Chivalry (London) Panel ReferencePanel 19. Son of Dr. John Robert Kennedy, M.V.O., M.B., C.M., J.P., and of Cecilia Ann Duff Kennedy (nee Walker), of Thurso, Caithness-shire; husband of Mary Calvert Kennedy, of Dunbeath, Caithness-shire. Son of Angus and Elizabeth Mackay, of Golsary, Caithness-shire. 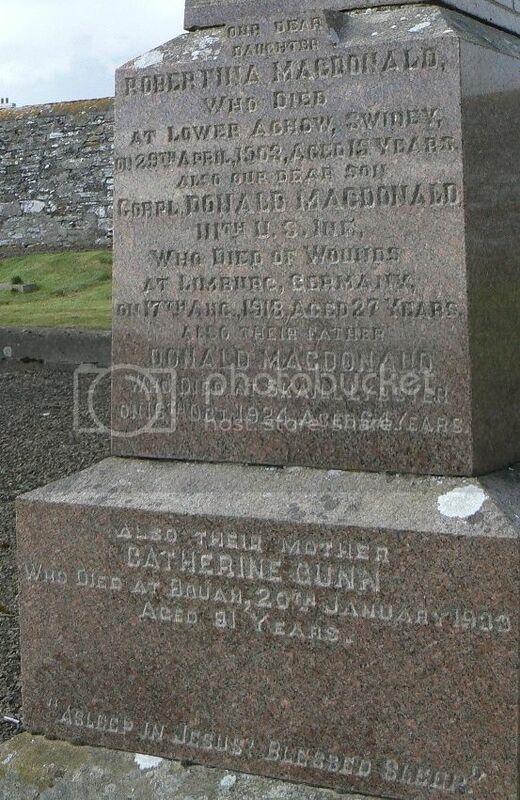 Son of Adam and Christina Mackay, of Latheron, Caithness-shire; husband of Deborah Mackay, of Latheron. In memory of Adam MacKay who died at Loedbest, Latheron 11th October 1948 aged 73 years. Also his wife Christina Bain died 31st March 1946 aged 70 years. Also their son Alexander Bain MacKay, Seaforth Highlanders who was killed in action whilst serving with the 51st division in the Middle East 27th February 1943 aged 31 years. And their daughter Christina MacKay who died 23rd September 1956 aged 86 years. Erected by the family. Regiment/Service:London Regiment (London Scottish) 1st/14th Bn. 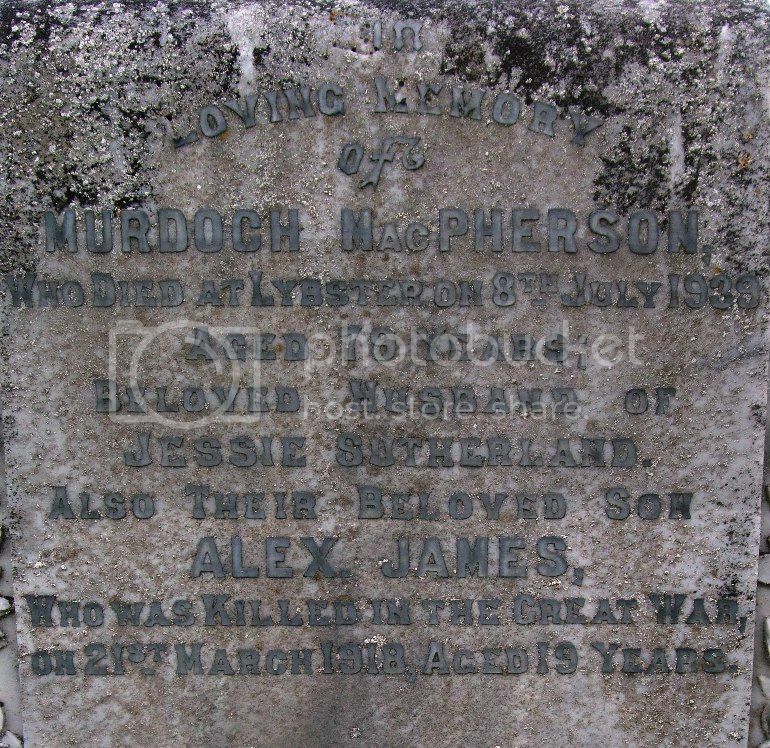 Son of Mr. and Mrs. M. Macpherson, of 2, Council Houses, Lybster, Caithness-shire; husband of Jessie Macpherson. Regiment/Service:Merchant Navy S.S. St. Catherine (Aberdeen). 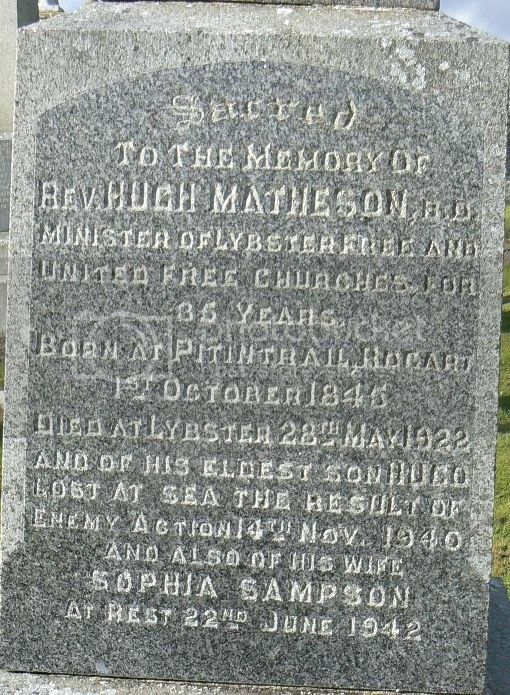 Son of Hugh and Sophia Matheson. Born at Rangag, Latheron Son of Alexander and Annie McGregor, of Main St., Lybster, Caithness. Panel ReferenceBay 8 and 9. 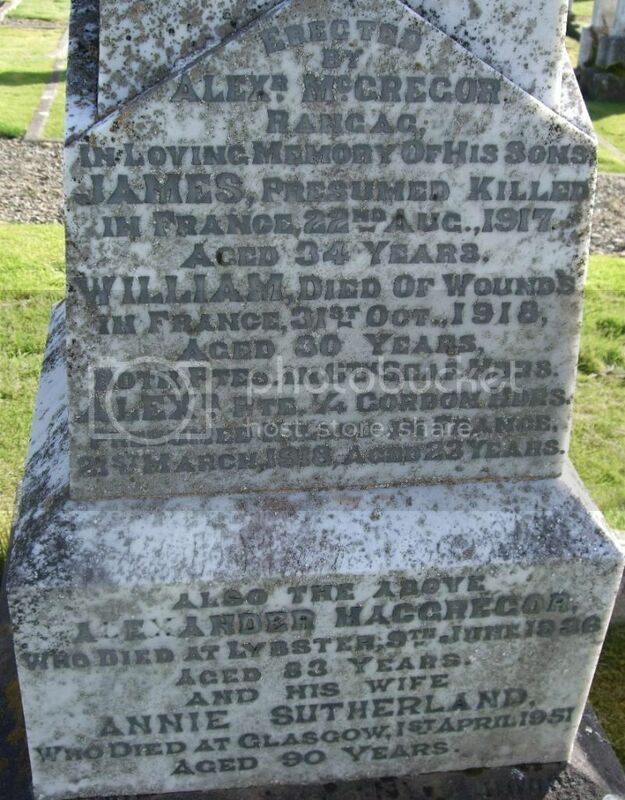 Son of Alexander and Annie McGregor, of Main St., Lybster, Caithness. Regiment/Service:Royal Garrison Artillery 154th Siege Bty. 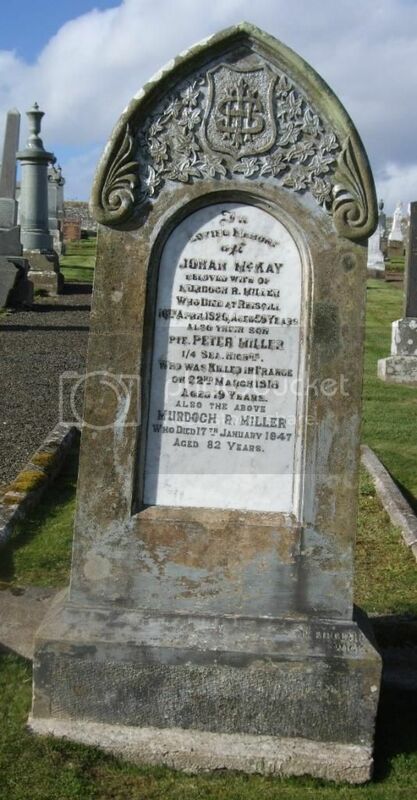 Son of Mrs. F. Miller, of Boulfruich, Houstry, Dunbeath, Caithness, and the late Robert Miller. 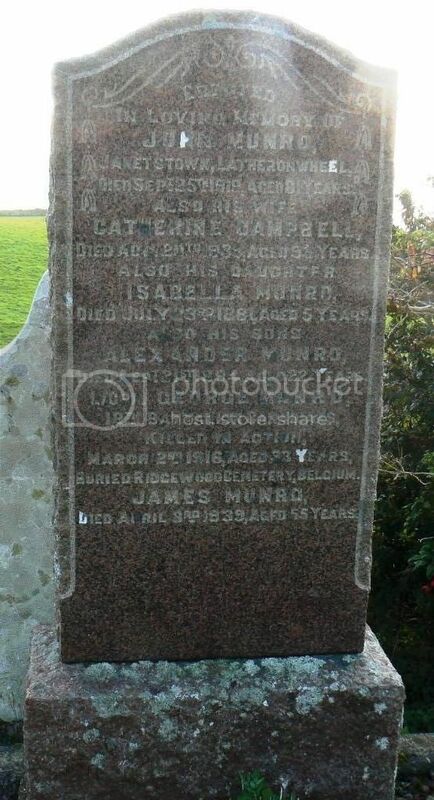 Son of Murdoch Ross Miller, of Reisgill, Lybster, Caithness. 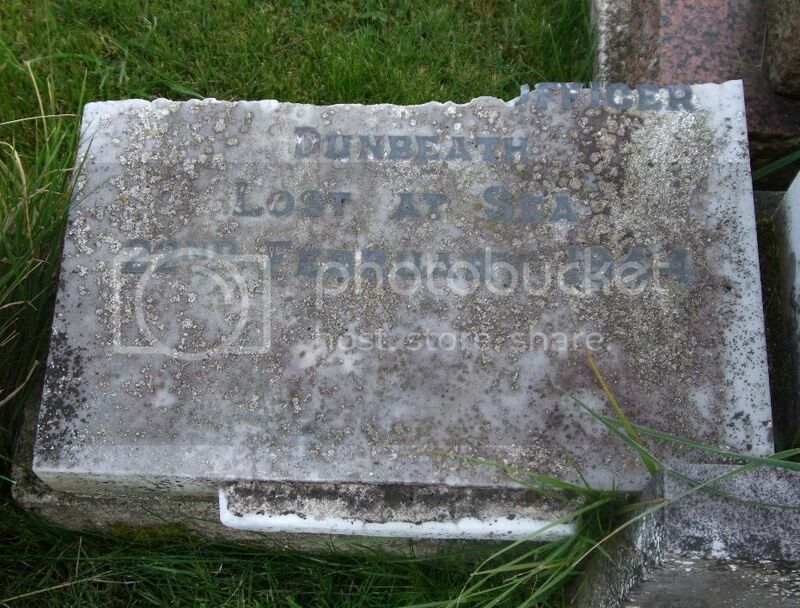 Son of Archibald and Margaret Sinclair, of Knockally, Dunbeath, Caithness. Erected by Henry Sinclair, Minister of the Presbyterian Church Canada in memory of his father the late Henry Sinclair, Balnabruich, Dunbeath died June 7th 1866 aged 76. 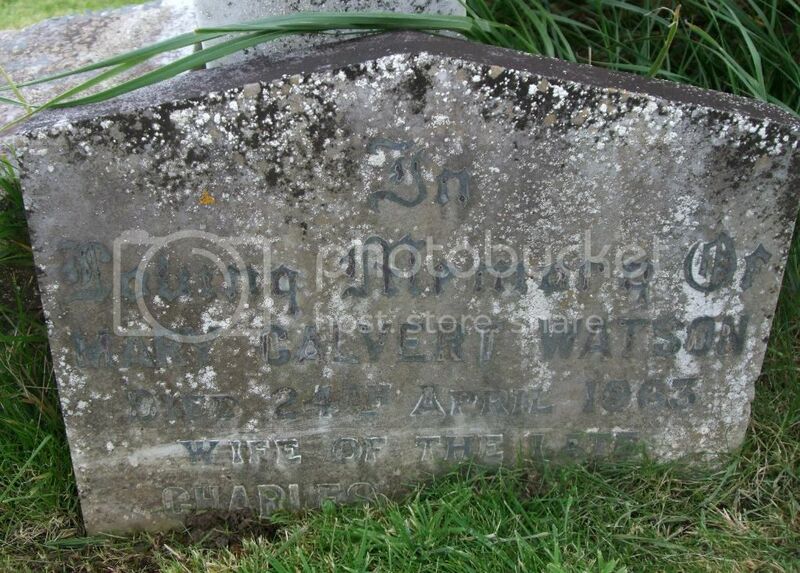 Also his mother Elizabeth who died January 1st 1870 aged 80 yrs. 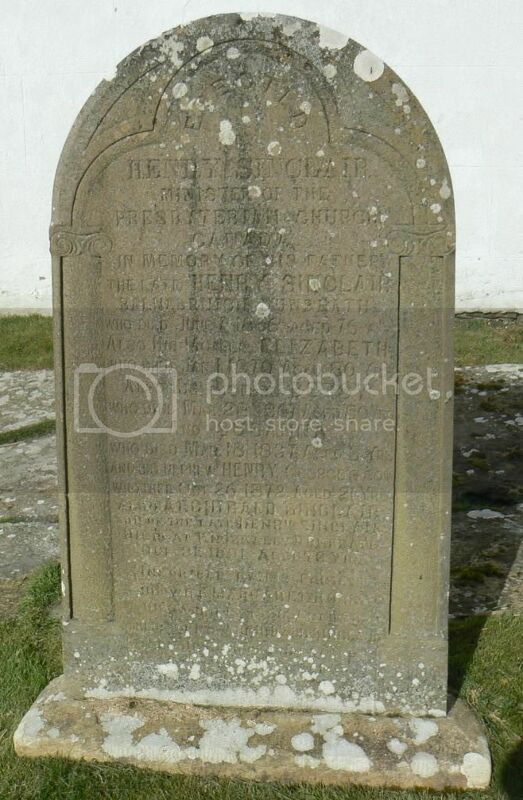 Also his sisters Betsy who died March 28th 1867 aged 50 yrs. 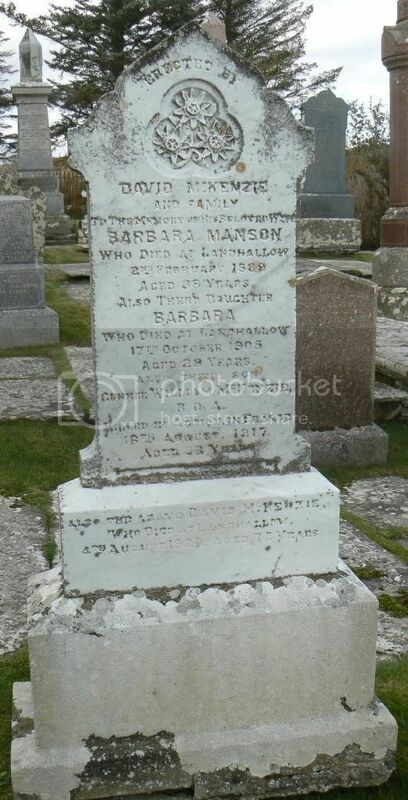 And Susanna died March 18th 1837 aged 5. 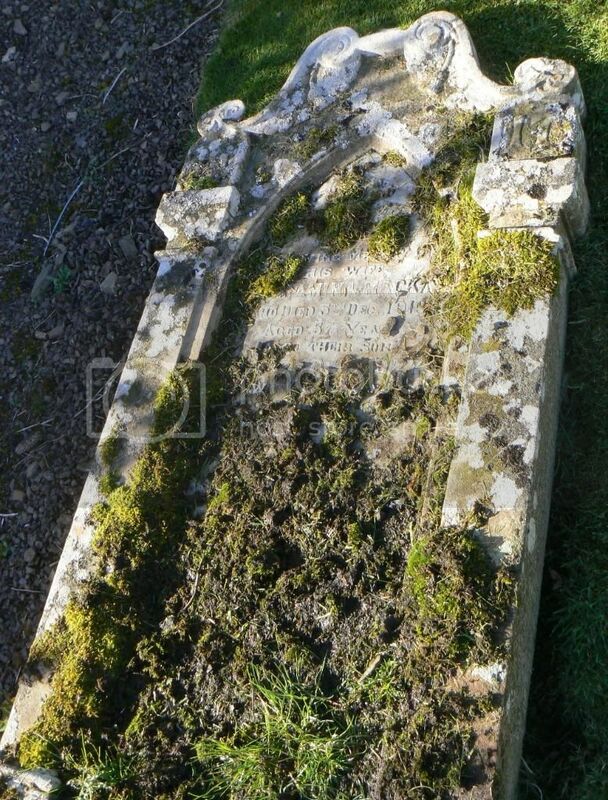 And his nephew Henry, George’s son who died October 26th 1872 aged 21 years. 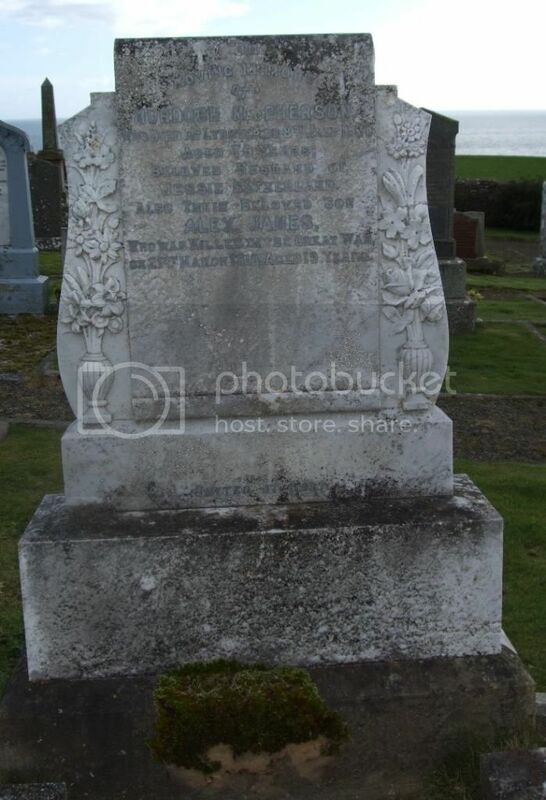 Also Archibald Sinclair, son of the late Henry Sinclair died at Knockally, Dunbeath on 31st October 1891 aged 76 years. Inscribed by the family. 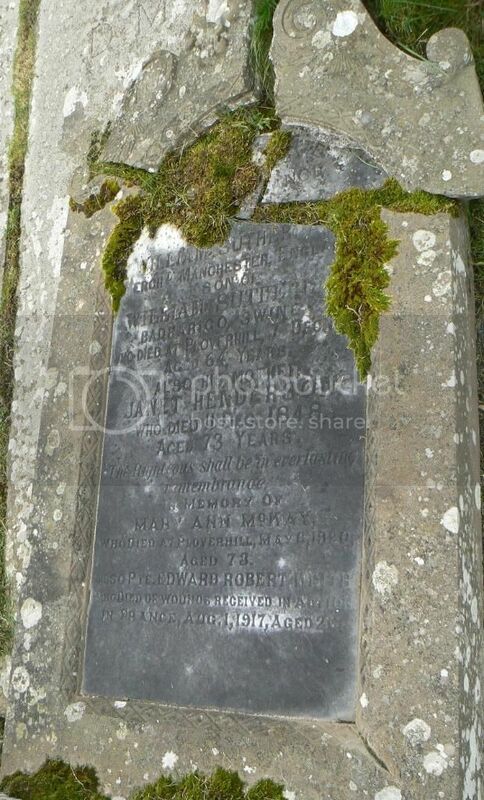 His wife Margaret Ross died 15th April 1926 aged 83 years. Their son Pte. Archibald Sinclair of the Seaforth Highlanders killed in France on 10th April 1918 aged 29.